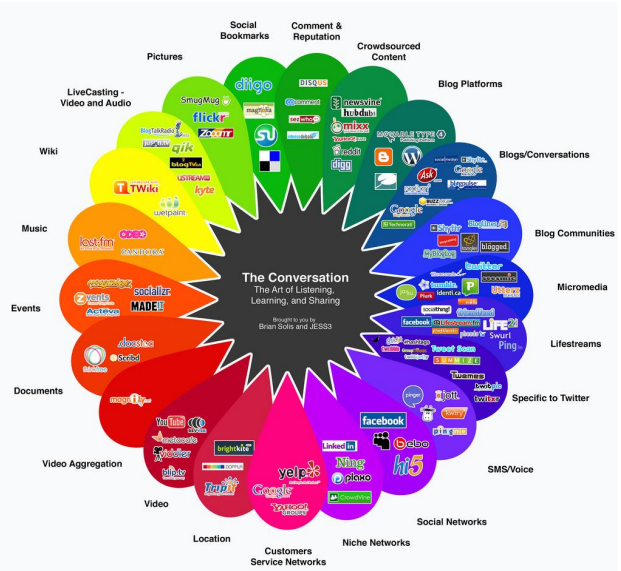 This is my effort to understand Social Media Marketing and its various elements. Though this is an on-going effort, however to pen-down my thoughts for Social Media Marketing will make it easier for me to recall the essence of it! Today after going through various blogs and trying to understand What exactly Social Media and Social Media Marketing definition means? • The Popularization of Social Media. Pretty straight forward and well articulated by Danah Boyd! a group of Internet-based applications that build on the ideological and technological foundations of Web 2.0,which allows the creation and exchange of user-generated content. A group of internet based application means, apps like Facebook, Twitter, WordPress, YouTube etc. Every profile / page that is created, will have Connections associated with content around that. will have the Environment, under which the profile / page is interacted, shared. Every associated connection will have a Direction, Initiation, and Emphasis. In another post, we will talk about the various type of data elements and approaches to be taken for Social Media Metrics.